It was a sad little thing with a broken lid and, a missing handle and wobbly legs. But it did it's job. And then this one arrived all shiny and new and wrapped up for Christmas. That sound you hear in the background is angels singing. It's a Hamilton Beach "Set 'n Forget 6-Quart Slow Cooker." I cooked up a storm in it last week. And Saturday night I decided to try my hand at cinnamon rolls. Don't those look good? And no, they're not healthy. Spray the inside of your crock pot and roll your biscuits into little balls. Dip your dough balls in butter and then run them through brown sugar/cinnamon mixture. Place in crock pot and put on the lowest setting. Cover with paper towel before place the lid on the pot and cook for about 2 hours. In your mixing bowl cream together cream cheese and butter. No. You don't want the cream cheese softened. That makes your frosting wimpy. Add your powdered sugar a little bit at a time until it creates a firm mixture. If you like a lighter consistency add the milk. Once the rolls are finished and cooled cover in frosting. Have you ever baked in your slow cooker? 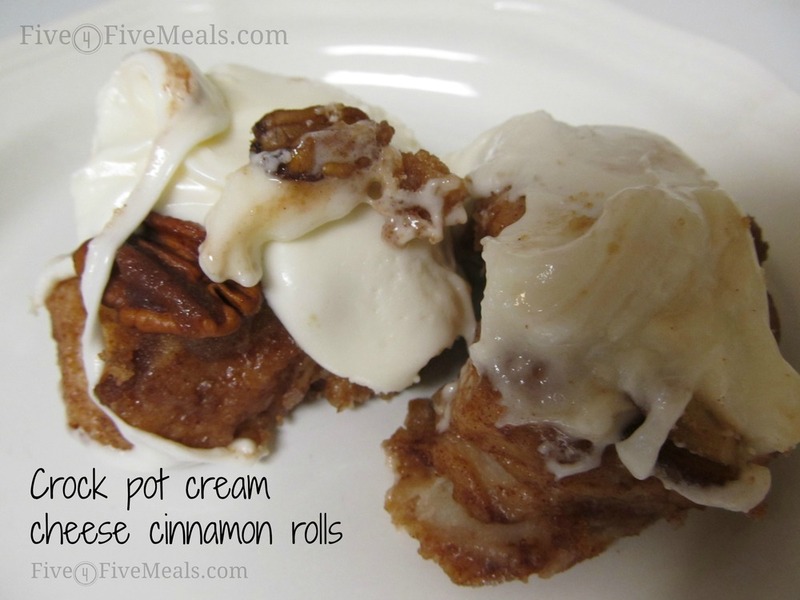 For more great recipes hop on over to Romance on a Dime for Take it on Tuesday.